Logging Sleds carry 16 passengers. 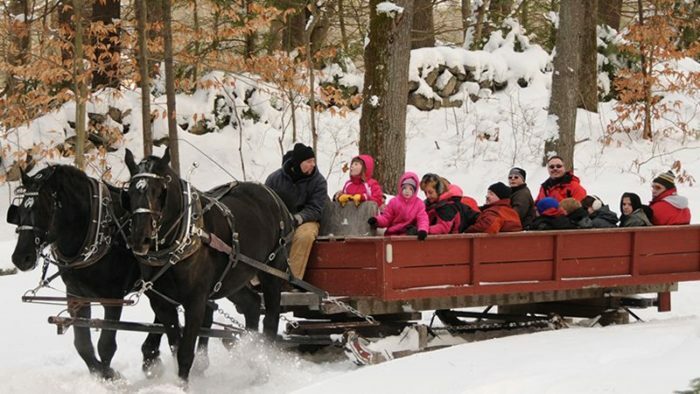 PRIVATE RIDES – Purchase 16 tickets per sleigh. Get away from the hustle and bustle…..noisy traffic, city lights and those confounded electronic devices! Climb aboard and travel old logging trails into the snow-covered forest. During daylight rides you’ll pass by the grazing cattle and horses in our winter pastures. You’ll have the opportunity to see our North American wildlife exhibits which include black bear, wolves and mountain lions. And be on the lookout for native turkeys, foxes, coyotes and deer. Some of our guests have even been fortunate enough to even see a moose! 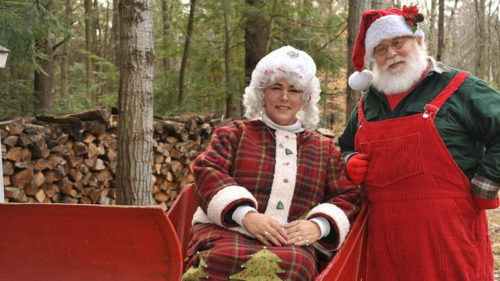 The sleighs during our Traditional Ride always stop over at a bonfire our staff maintains in the woods. Guests love warming up and enjoy refreshments they they have brought along by the fire. There are picnic tables for folks to sit and enjoy the fire. Amazing campfire menu that includes marinated steak tips and grilled chicken served around a roaring bonfire. 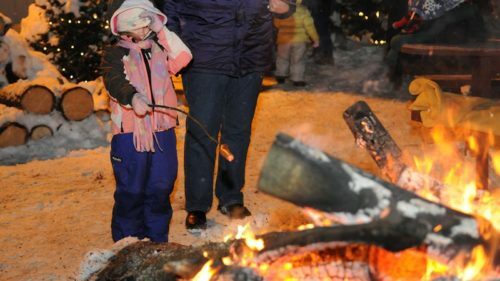 Warm-up around the large bonfires while roasting hot dogs, toasting marshmallows and sipping hot cocoa provided by the farm. 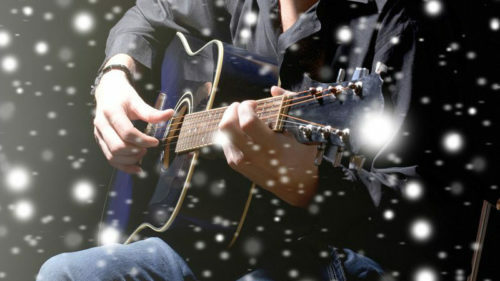 We’re serving chili and cornbread while folks are listening to a live acoustic performer campfire side. 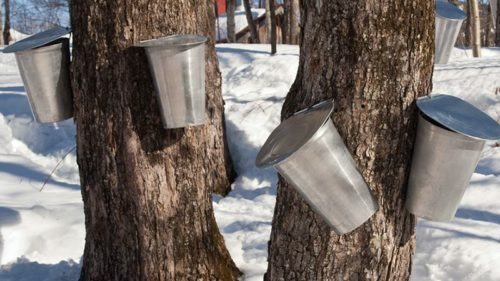 Surprise your sweetheart with a dashing ride to our Sugar Shack for soup, tasty chocolate treats and warm beverages. In the old days, the runners on these sleighs were used to carry huge logs out of the forest. Now we have constructed a large body on top of the sleigh runners that will carry up to 16 passengers. We recently added bench seating and steps with rails up onto the sleigh to make the boarding and riding process even more comfortable for those “not as flexible” as the young kids! You’re going to love it. 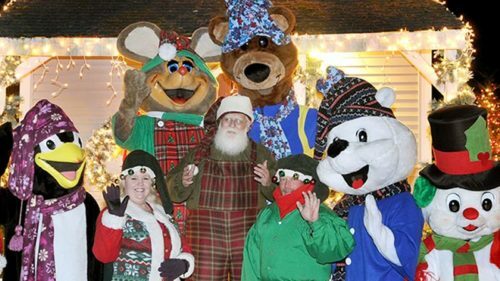 If you are looking to plan a sleigh ride for a large group be sure to call us. We have many sleighs, offer catering and have a warm-up room available. We are always willing to customize our rides. For more information please call (603 483-5623) or email John to discuss options. Each Logging Sled will carry up to 16 passengers. Please be sure to review our Policies especially regarding WEATHER. We operate our rides on a schedule. If you arrive LATER than your chosen time you will not be able to participate. Dress appropriate for outdoor weather. Hats, scarves, mittens, boots and a warm coat are important. Consider bringing along a blanket. We find sleeping bags work great. You may bring along additional refreshments and beverages if you wish. Plan on being at the farm for approximately 1.5 hours. The ride will happen REGARDLESS OF SNOW. If trail conditions are not suitable for sled runners we will use an appropriate wheeled vehicle. Question: Does the horse drivers accept gratuities? Answer: Yes, our teamsters work hard to ensure your expectations are met. Tips are part of the horse drivers income. It is safe to assume a 15% gratitude is very much appreciated.